We love marble painting. 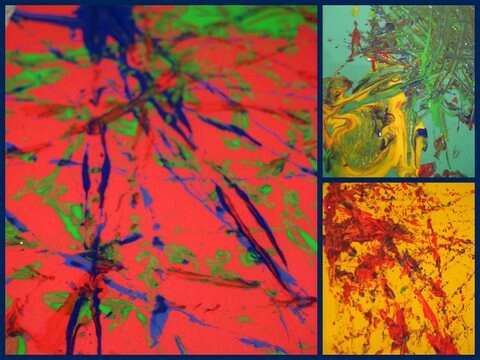 We love the crazy patterns you can make, we love the roly-poly fun and we love how vibrant the final paintings are. 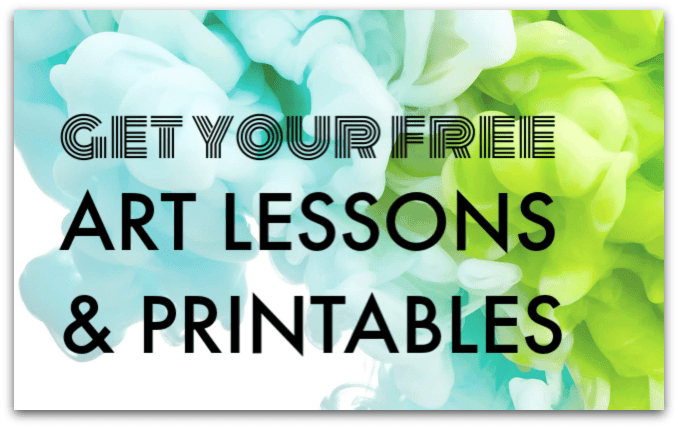 Marble painting is a good craft activity to try with children who usually prefer action play to something artistic – you might just find that this rolling-action appeals, when normal painting or drawing doesn’t. If you have a group of children you can try this on a grand scale: go outside and have the children sit around a huge piece of paper. Add some blobs of paint around the perimeter of the paper and give the children some marbles. They can roll the marbles to each other across the paper and make a collaborative design. For a smaller scale version at home, we find a roasting tray is a good size to fit an A4 piece of paper, and of course the raised edges of the tin help to contain the marble. 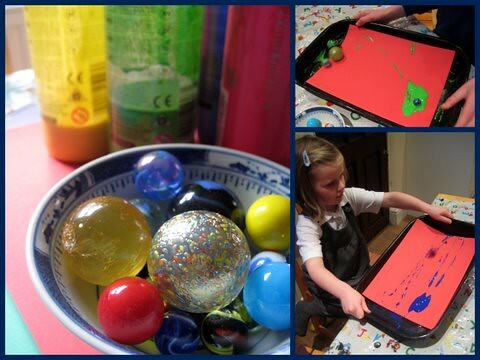 Add a blob of paint and practise your co-ordination as you tilt the tray to roll the marble through the paint. What patterns can you make if you add different colours of paint, or roll 2 or 3 marbles at once? This is a fun, creative activity to try just for the pleasure of crafting but it creates wonderful pictures you can use to make into something else too: bookmarks, greetings cards and postcards, gift tags? Come back tomorrow and see how we transformed our marble paintings into a mathematical display. Oh my you were brave letting the girls do it without pinnys on. Mini is just noise with muck on! TheMadHouse: haha – I know! To tell the truth they swooped in before I had time to get them to pinny up. Thank goodness for washable paint. We really have to try this sometime! Looks very fun, and my son LOVED salad spinner art so much that I think this would be a hit too. Ooh Lynn, we have some salad spinner art on the way – with a Christmas theme.